I purchased a ‘hands-on’ money kit from Dysphagia Plus years ago (I have since learned that the website has shut down but I’ve listed other kits to consider purchasing below). I chose this particular kit because of the realistic bills. I switched out the paper coins with real coins and now the materials are much more realistic. For infection control, patients use antibacterial wipes or hand soap/ sanitizer prior to use of the kit and again when we finish. The sky is the limit with one of these kits. The WALC 7 Everyday Math Workbook for Language and Cognition as tons of calculation activities that can be modified for functional hands-on practice with this kit. Patients read their sales total and simply count out the correct amount for the purchase. OR Patients read the cost for each item and count out the correct amount for each one. Patients are given a predetermined amount of cash (higher than the total) and asked how much change they should expect back from the cashier. Calculators are optional. [For Groups] Patients take turns in role of cashier and customer – counting totals and giving change. Sometimes the focus of this group is social interaction or communication for patients with aphasia or motor speech deficits. 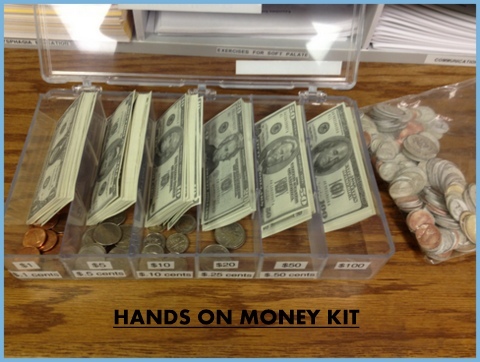 Do you have a similar money management kit? 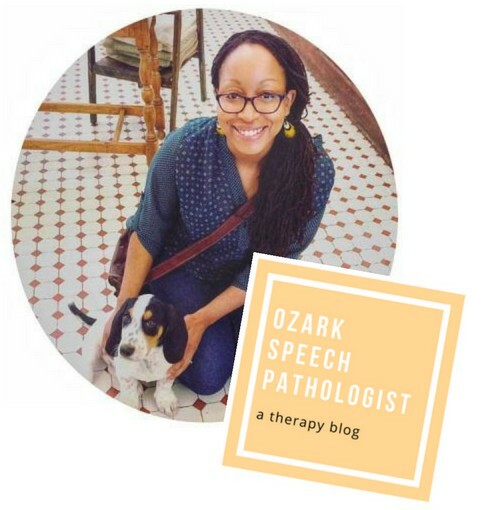 How do you incorporate it into your daily therapy sessions? I’ve also given patients a bill total and told them the money that they gave me “Your bill is $24.68 and you gave me $30.” Then I give them change back and they have to verify if I gave the correct amount back. If it is not correct (which is usually isn’t), they have to tell me what they should have gotten for change.